Has anyone purchased a chow chow from D&M Farm? My boyfriend and I recently put down a small deposit on a chow chow puppy from D&M Farm in Fairborn, OH. We visited their farm and were able to see both the adult dogs & the puppies. I would like to know, however, if anyone has had experience purchasing a chow chow from this breeder and if so, was your chow chow healthy or not? They are all AKC registered sires & dames but I know that does not mean much as far as getting a healthy chow chow puppy. Any and all info would be really helpful as we will not be getting the puppy until end of April & would still would like to make sure this is the right choice of breeder. I've attached a link to their site as well. Re: Has anyone purchased a chow chow from D&M Farm? Sadly the search function here isn't great, so you'll have to dig around quite a bit to find comments regarding this breeder. I spent many hours searching through old posts here to get some idea of what to look for in a breeder. Even after all that research there's really no way to be absolutely certain that you'll end up with a healthy Chow. After all, stuff happens in life. A pup might be healthy for a year or two, then become unhealthy. My recollection of dmfarm is there were some complaints. I didn't keep notes on them, so you'll need to search the various dog breeder discussions here to find those posts. The relevant discussions almost never have "D&M Farm" in the title. Hopefully folks with direct experience will chime in, but many members here don't check in regularly and may not see your question right away. A quick search showed several posts from members here regarding this breeder. Hip dysplasia and other health issues were mentioned. I simply typed d and m farm in the search box in the upper right corner and found them. I also noticed that there is no mention of health testing on their site and their so called 3 year guarantee is not as great as it sounds when you read it. While there are no guarantees in life, responsible breeders do OFA testing and other health tests and provide the results. Search here and read the posts and wait for others to see and respond here. You can tell a lot about a breeder by what they ask you. Imagine you were letting your toddler go to live with someone you didn't know! That's how I felt when I let my puppies go off into the world and I wanted to know every single thing about my potential owners and turned down dozens. If your breeder doesn't care that much then they Don't Care That Much! Take it from me a caring breeders cares about health, new homes, after care (forever) they will insist that if the puppy ever needs re-homing it is returned to them. Look up some posts on what to look for in a breeder on here.....and then you will be better equipped to make a judgement. Siriol, Bramble, Izzie and Isla. Do not, I repeat, DO NOT purchase a chow from D&M Farm. 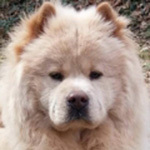 I have purchased a chow from D&M Farm and I have had nothing but issues (parents were Lila and Teddy). More specifically, our chow has had nothing but issues. He is nearing his 2 year birthday and when he was 1 year, was diagnosed with severe congenital hip dysplasia. In other words, he was born with the defect due to poor genetics/breeding and now suffers with a lifelong, debilitating (and expensive!) health problem that causes him mild to moderate pain on a daily basis and is maintained through routine exercise, supplements, a high quality dog food, and homeopathic pain killers. None of their dogs have the proper/expected screening for genetic defects (and they won't have any if you ask either). I have had two other people who purchased dogs from them who had the same issue as I have, only they chose to put their dog to sleep. Others have had entropion/ectropion issues (another genetic defect). Personality and socialization speaking, our dog is wonderful with most strangers. But again, nothing socialization and training on your part cannot correct with a healthier, genetic defect free dog. Ask for the deposit back. Do a little more research - it pays to wait and find a better, reputable breeder. And purchase pet insurance when you decide to bring a puppy home! Thank goodness I did, as our dog's congenital defect is covered should he require surgery. D&M Farm will NOT give your money back once you purchased a dog, even if he/she has a defect due to poor breeding. gluesticks wrote: Do not, I repeat, DO NOT purchase a chow from D&M Farm. I'm so sorry to hear about your sweet puppy. It is wonderful that he has a loving family who is going to stand by him and help him through his disability though. Kudos to you for that. I know how a dog is part of the family and they truly are worth doing anything to help them. I sincerely appreciate you taking the time to respond to my posting to alert me to their breeding practices. After joining this site and reading so many health topics it really opened my eyes to how important it is to find the right breeder. I asked them about health certifications as you had mentioned and they have none. My boyfriend & I have indeed chosen a different breeder who we are extremely confident in and does health certifications. I hadn't thought about pet insurance before but I will absolutely be looking into that. Thank you again and I hope your puppy is doing well! I know this is a super late response, but I thought I'd chime in anyways. I have two Chow Chows, my youngest being from D&M. My Cody is just the sweetest guy ever! I just cannot say enough about how wonderful of a dog he is! He was a super easy to manage puppy, not at all destructive, plays nicely with his big sis (who I adopted elsewhere), loves his cat brothers, loves his humans, and is pretty friendly towards strangers. Cody is only 2and a half years old right now, but my veterinarian was impressed with how healthy has been from day one. I know the breed is prone to things like hip dysplasia, but we will tackle that when and if the issue arises. I'm just pleased that he is a very happy and healthy boy. He is a big boy too!! Their Chows run very large! He is 80 lbs and considered ideal weight for his frame. He also has hair for days! We get stopped literally every single day because people get such a kick out of how big and insanely fluffy he is. Anyways, I found the owners of D&M to be very friendly and knowledgeable of the breed and I continue to keep in touch with D&M and their other adopters through their Facebook page. I personally would recommend them and would adopt again from them in the future. I have purchased two Chows from D&M Farm Kennel. The 1st one, Foo, is a Cinnamon female, spayed and 1-year-old. The second one is a 5-month-old female named Thai. Both dogs have the absolute best temperaments. I have strangers, vets, vet techs, doggie day care staff and basically everyone that meets my two Chows say that they have never met such friendly and socialized Chows before. They are healthy and have beautiful confirmation. From start to finish I had a wonderful experience with D&M. I highly recommend them. They love their dogs and give them the best care. Here's another very late response. We searched and searched and searched to find the right breeder when choosing our Chow. We received our red male Chow, Juma, from D&M Farms on August 5, 2016. After searching for over 6 months, we found D&M Farm Kennels to be the most reputable breeder in our country. D&M has a Facebook page you can ask to join. This page has over 680 members that have/had a Chow from their kennel. Anything you ever want to know about D&M, or their dogs, you just have to ask and you will have more answers from these members than you'll know what to do with! This includes health questions, temperament questions, training questions, anything!! We 100% made the right choice by choosing them. I want this to be an open comment where if anyone ever has ANY questions when it comes to D&M Farm Kennels, you can reach out and ask me. If I don't know the answer, I'll ask one of the other 680 members! I have 2 Chows from D&M Farm and have been happy with each of them. One lived a long life, and is no longer with us. My newest one has the best temperament and is so loving and so sweet!!! The people at D&M Farm are caring individuals who love Chows, are knowledgeable about them and will help you with anything they can. In fact, I believe their whole life is devoted to Chows and has been for a long time. They stay in touch with you through their group website where there are hundreds of satisfied customers. I would not hesitate to recommend D&M Farms at all!! And I'll continue to get my Chows from them in the future. I have had three Chows from D&M and, after the sudden accidental death of my third one who was only 18 months old, am on the current waiting list for a 4th. We had several Chow Chows when I was growing up (two of them purchased from a show breeder because they weren't good enough to show), and NONE of them were anywhere near as affectionate as even the least affectionate of my D&M boys. When D&M says they breed Chows with exceptional temperaments, that is not just advertising hype. The young one that I just tragically lost would come up in my lap every night to snuggle. All three of my D&M Chows have been absolutely beautiful dogs. They have a very active private Facebook group for people who own their Chows or who are on the waiting list for one, where people share photos and stories, ask questions (of the breeders and the other members) and just come together as a community who love their Chows. 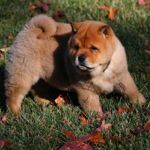 Chows are prone to entropion and hip dysplasia, and any breeder who has a large number of puppies will eventually have a puppy with some kind of problem. D&M does, however, stand behind their health guarantee. I personally won't get a Chow anywhere else as long as D&M is around. We have two chows from D&M Farm a red female and a cream male. Both have great temperaments and no health issues. We knew the first time we went to the farm to pick up our red female that they were going to be our breeder as long as we are going to own chows. They treat you like family from the moment you arrive. All of the chows we saw were healthy and very friendly. I have had chows from other breeders that had temperament and health issues. We did our research and found D&M and everything we heard about them was true and so we contacted them and put our deposit down on Nutmeg over seven years ago and then returned six months later for our cream male Tanner. When anyone asks where we got them we are proud to tell them D&M Farm. Great people, great facilities and great dogs! I have owned several chows in my life. I purchased a red chow from D&M early last year. She was born on 2/2/16. I have never had such a loveable, easy to train dog in my life. She is healthy and brings so much joy to our family. I would highly recommending purchasing from them. You can go visit the farm and take a tour of the whole property and examine their kennels. You will see that it is a top notch, run facility. You can purchase a genetically tested chow from any breeder and that does not mean that your puppy will be free from hip problems etc. down the road. It doesn't matter if they are not tested because all kennels may have a puppy which may develop a problem. D&M Farms has a very good health guarantee. I do not believe that they would not honor their guarantee. Anyone who says otherwise are either lying or have never purchased one of their puppies. The owners are the most wonderful people who truly love chows. I would highly recommend this breeder. I have searched many other breeders in the states and Canada and no kennel came close to D&M Farm. I will definitely purchase another puppy from them in a year or two. I have purchased two shows from D&M. Our first Mei Ling, a red female was purchased in 2008 - she was a wonderful dog. She was very loving and had a great temperament and we kept her well socialized. Her vet and their staff loved her and always commented how great she was and that she was their favorite and best behaved chow that came to their office. She did have some issues with dysplasia, however chows are prone to dysplasia and as are many other large breed dogs and any breeder will tell you that. In December 2016 she passed away unexpectantly following a routine dental cleaning at the vet. While we were heartbroken, we knew we wanted another pup and knew we would go back to D&M. 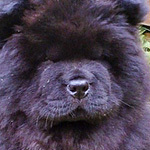 We got our second chow, a black male from D&M this past spring. Maximus is 7 months old and he is the sweetest thing. The vet office absolutely adores him and we love him to pieces. As long as D&M is breeding chows, we will continue to get chows from them and would recommend their kennel to anyone. I have 2 chows from D&M Farms Pia who is 9 years old and Bruno who is 7. As far as health Pia has had a couple of UTI's and Bruno has allergies but that is it. They both have great personalities and are very friendly to people and other animals. We take them to the Vet and every time we go we get compliments from the staff and the Vet on how well behaved and friendly they are. We take them on trips and people come up and pet them and can't believe how friendly they are. We chose D&M farms because of the owners Maleah and Darrell when we called them and emailed them questions about there Chows they answered all of our questions, they sent pictures of our chows as newborns and gave us updates. When we picked our puppies up they welcomed us in their house and treated us like family. We got a tour of the kennel and met all of their chows. We could see how much they loved each and every one of their chows. When and if we have questions about our dogs we can email them and they are happy to give advice and help in any way they can. There is also a site on facebook full of people that own D&M chows. I feel like when we got our babies we gained a big extended family not only with the owners but with all of the people that purchased their babies from D&M Farms. When it is time to purchase another Chow we will happily purchase from them again. Just a quick review here, longer one on Google. I have a 2-1/2 yr old Chow from D&M. They had never picked a performance puppy as most Chows don't participate in companion or performance events. They picked a perfect litter for me to choose from. She is more than healthy, she is superb. Her titles say it all, you can't earn titles like this with bad structure. There are no guarantees that even OFA certified parents will not have something pop up re:health. Baila is currently the fastest Chow in the US, running 23.5MPH as timed in AKC FASTCAT test. D &Ma's Gypsy Whirlwind Baila, CGC, RA, RATO, CAA, BCAT, W-FD-MF, TdN, and certified active TDI therapy dog. This is a dog not yet 2-1/2 years old. I have purchased a chow chow (Miss Izzie Bella) from D&M Farm in 2013. She is a very healthy and happy girl along with her and her two sisters (Piper & Miss LuLu Belle). Very good temperament and absolutely no health issues. I would highly recommend D&M Farm. I have visited their farm on several occasions and they run a tip top kennel. Darrel and Maleah are very loving folks and provide an honest and caring service. Joe Lozon ... The Lozon Farm, Hartland, MI. After searching and talking to different breeders we decided on visiting D&M farms. The Farm(kennals) were immaculate, Darrell was very informative and professional. We decided to purchase our Chow. While on the waiting list we visited multiple times. All the Chow were well behaved and the runs were well taken care of. We've had our cream make Maximillius for 5 yrs now. The Alexiandria Animal hospital continually comment on his health and demeanor. D&M shows are great ambassadors for the breed. In April 2012, our twelve year old Chow passed away suddenly. His loss left a void in our lives. Approximately three weeks later, I started to research Chow breeders on the internet hoping to replace the irreplaceable. There, I found the D&M Farm Kennel website and was fascinated by its content. My impression of D & M Farms while browsing the website was that they really care about the well-being of the Chows that they sell. The following morning, my wife spoke to Darrell Allen and found him extremely pleasant and informative. My wife asked if we could get some client references from the PA, NJ and NY areas. Within 24 hours, we received four telephone calls and/or e-mails telling us how wonderful Mr. & Mrs. Allen were and how beautiful and well-mannered their Chows were. Within days, we made our decision and mailed our deposit to them. We waited excitedly the next two months and were informed that one of the females gave birth and one of her three cream male puppies could be ours. We were overjoyed. Our puppy, which would be named Biscuit, was born. The weekly pictures of Biscuit via e-mail leading up to pick-up day were a wonderful touch to our waiting process. Also, Darrell and Maleah’s time and courtesy to any of our questions during this time was comforting. The pickup process was just as wonderful. We loved the tour of the farm and meeting all their Chows. What most impressed us though was the time they spent with us reviewing all the paperwork and their sincere care for Biscuit's future health. We were also amazed how well trained Biscuit was when we brought him home. In June of 2016, my wife and I put a deposit on our second D&M Chow. On October 1, 2016, Merlot was born and during Thanksgiving weekend 2016, our family, with Biscuit, made our second exciting trip to D&M Farm Kennel to pick up Merlot. Biscuit and Merlot continue to bring joy and laughter to our home each day and we have Darrell & Maleah Allen at D&M Farm Kennel to thank for that. I purchased my now 18 month old male Cream colored Chow Chow from D&M farm in June of 2016. I spoke with the breeders prior to putting down my deposit, was given regular updates from them while I waited for a puppy with my preferred color and *Censored Word*, and drove there to pick him up. I was given a tour of their facility at that time (and could have visited prior thereto at their invitation). At pick up time I received a beautiful and healthy puppy who continues to be beautiful and healthy to this day. My long time vet, who had the care of my first two beautiful and beloved Chows from a different breeder (also reputable and quite caring... and by whom my first male was shown and received his championship papers and was simply gorgeous) said that my Chai was also beautiful and confirmed he was in excellent health. My first two chows, not from D&M, both had breed related health issues including entropian and ACL repairs. That was just mine and their sad misfortune and no reflection on their breeder who I also value and respect. It is well known that most if not all pure breeds have breed related health issues - that said I had a 11 and nearly 14 years with my ,male and female pair. So far, I am happy to say that Chai has not had any health issues - he has beautiful eyes, a wonderful healthy coat and a great temperament. I would happily recommend D&M Farm to anyone who wanted to purchase a Chow Chow. You will find a breeder who is available to answer any questions or concerns both before and after your purchase and you will acquire a large extended family of 100's who are owners of D&M chows, many of whom are active participants in their Facebook Group. If you believe that your Chow Chow is a member of your family, then I can't think of a better "family" from which to purchase your next Chow. To the person asking if anyone has purchased chow pups Grom D&M? Yes, I have two from them. A 4 yr old cinnamon male and an 8 month old red female. Please do purchase from Darrell and Maleah. You will not be disappointed! Their level of hospitality is top notch. Their years of breeding and their knowledge is so far above average. We have a private page we're we are share advice, tips and hilarious video. Please do give them a chance, spend time at the farm with them. Don't be bashful, ask them questions. They will answer you honestly! They are far more than qualified, don't listen to the naysayers. Find out for yourself. Their level of professionalism is real! When we purchased both of our puppies, they called to let us know they were born and when our pick up date was. They have video of the litter so you can see them growing up from newborns to prior to pickup. We are all a family, it's all about the chows! I will say it again, please give them a chance and go see the farm in action! These chows are perfection and so is D&M!